Hi, I’m interested in Bmw x3 E83 stripping for spares. Please contact me. Thanks! 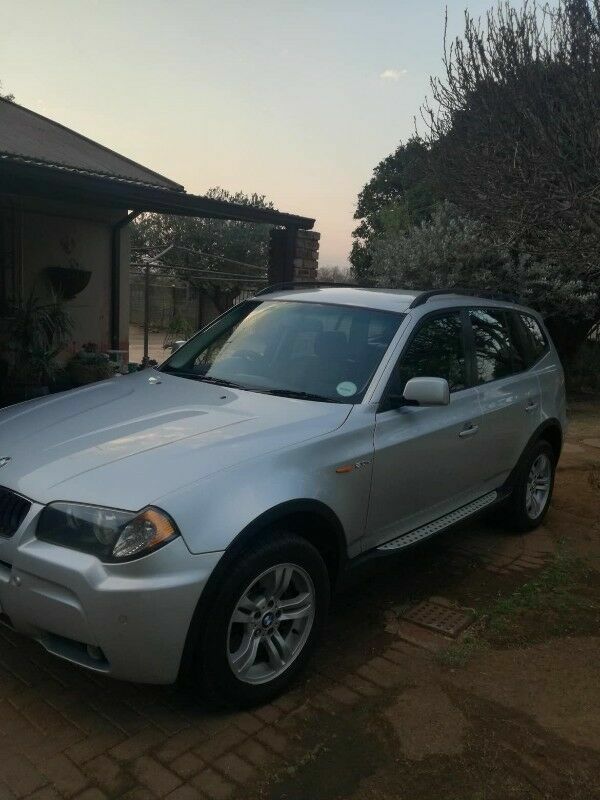 I have a Bmw X3 E83 2.0 Diesel that i am stripping for spares, engine is a 2.0 diesel, gearbox is Manual. Please contact me for parts/spares that you may require on this vehicle. Models same as this is ****** ****** ****** ******. Parts available : Bonnet, fender, cradle, headlights, radiator, aircon, condenser, door left and right, taillight, bumper, mirror, stiffener, rear bumper, bootlid / tailgate with glass, rims, suspension, shocks, control arms, cv joint, steering rack, tyres, seats, dash, airbags set, gear links, steering wheel, electric windows switches, lockset ecu keys, starter, alternator, aircon pump, injectors, exhaust, inlet manifold, coil pack,wiper motor, mountings, etc etc etc. Golf 4 1.9 tdi stripping for spares . Motor intact , injectors and diesel pump in working order. Mercedes Benz W203 W204 C209 W169 w211 c-class, e-class, clk-class, A class , C32 Amg , engine codes 271, 272 v6, 274 , 112 v6,112 v6 supercharge,113 V8 , 612 VW Golf 5 gti, polo 6, polo 2, round light, Jetta 6, Jetta 4, Golf 5 2.0 fsi non turbo , Vw touran 1.9 Tdi ,Passat 2.0Tdi Dsg Vw toureg v10 Tdi BAC engine Audi A4 B7 engine codes bwa , bwe, bgb Audi A5 2.0 engine CDN Audi A3 1.9tdi BXE engine Audi A3 2.0 non turbo Audi A4 b8 1.8t CDH engine Audi Q7 4.2 v8 fsi BAR engine code Audi A4 B8 2.0T CDN engine code Audi A3 1.4 Tfsi CZC engine code s-tronic Audi A4 B6 3.0 V6 Most of the following parts available: Headlight, tail light, fender, boot, window, mechanism, radio, steering, airbag, dashboard, seat, center console, sunroof, wheel, Tyre, tire, door, door panel, headliner, windscreen, aircon pump, engine, gearbox, crank, oil pump, block, piston, conrod, water pump, mirror, body, key set, lock set, cluster, Aircon control, computer box, harness, wire, rubber, lock nut, turbo, injector, suspension, spring, brake disc, brake caliper, brake pad, control arm, bush, bearing and many more parts available. Now stripping Audi A6 V6 for spares Engine starts first kick! Mercedes Benz W203 W204 C209 W169 w211 c-class, e-class, clk-class, A class , C32 Amg , engine codes 271, 272 v6, 274 , 112 v6,112 v6 supercharge,113 V8 , 612 VW Golf 5 gti, polo 6, polo 2, round light, Jetta 6, Jetta 4, Golf 5 2.0 fsi non turbo , Vw touran 1.9 Tdi ,Passat 2.0Tdi Dsg Vw toureg v10 Tdi BAC engine Vw golf 4 tdi Ahf Audi A4 B7 engine codes bwa , bwe, bgb Audi A5 2.0 engine CDN Audi A3 1.9tdi BXE engine Audi A3 2.0 non turbo Audi A4 b8 1.8t CDH engine Audi Q7 4.2 v8 fsi BAR engine code Audi A4 B8 2.0T CDN engine code Audi A3 1.4 Tfsi CZC engine code s-tronic Audi A4 B6 3.0 V6 Audi A6 V6 Most of the following parts available: Headlight, tail light, fender, boot, window, mechanism, radio, steering, airbag, dashboard, seat, center console, sunroof, wheel, Tyre, tire, door, door panel, headliner, windscreen, aircon pump, engine, gearbox, crank, oil pump, block, piston, conrod, water pump, mirror, body, key set, lock set, cluster, Aircon control, computer box, harness, wire, rubber, lock nut, turbo, injector, suspension, spring, brake disc, brake caliper, brake pad, control arm, bush, bearing and many more parts available. Now stripping golf 4 1.9 tdi Ahf engine code Mercedes Benz W203 W204 C209 W169 w211 c-class, e-class, clk-class, A class , C32 Amg , engine codes 271, 272 v6, 274 , 112 v6,112 v6 supercharge,113 V8 , 612 , 640 VW Golf 5 gti, polo 6, polo 2, round light, Jetta 6, Jetta 4, Golf 5 2.0 fsi non turbo , Vw touran 1.9 Tdi ,Passat 2.0Tdi Dsg Vw toureg v10 Tdi BAC engine Vw golf 4 tdi Ahf Audi A4 B7 engine codes bwa , bwe, bgb Audi A5 2.0 engine CDN Audi A3 1.9tdi BXE engine Audi A3 2.0 non turbo Audi A4 b8 1.8t CDH engine Audi Q7 4.2 v8 fsi BAR engine code Audi A4 B8 2.0T CDN engine code Audi A3 1.4 Tfsi CZC engine code s-tronic Audi A4 B6 3.0 V6 Audi A6 V6 Most of the following parts available: Headlight, tail light, fender, boot, window, mechanism, radio, steering, airbag, dashboard, seat, center console, sunroof, wheel, Tyre, tire, door, door panel, headliner, windscreen, aircon pump, engine, gearbox, crank, oil pump, block, piston, conrod, water pump, mirror, body, key set, lock set, cluster, Aircon control, computer box, harness, wire, rubber, lock nut, turbo, injector, suspension, spring, brake disc, brake caliper, brake pad, control arm, bush, bearing and many more parts available. Now stripping W169 Mercedes-benz A180 cdi automatic Mercedes Benz W203 W204 C209 W169 w211 c-class, e-class, clk-class, A class , C32 Amg , engine codes 271, 272 v6, 274 , 112 v6,112 v6 supercharge,113 V8 , 612 , 640 VW Golf 5 gti, polo 6, polo 2, round light, Jetta 6, Jetta 4, Golf 5 2.0 fsi non turbo , Vw touran 1.9 Tdi ,Passat 2.0Tdi Dsg Vw toureg v10 Tdi BAC engine Vw golf 4 tdi Ahf Audi A4 B7 engine codes bwa , bwe, bgb Audi A5 2.0 engine CDN Audi A3 1.9tdi BXE engine Audi A3 2.0 non turbo Audi A4 b8 1.8t CDH engine Audi Q7 4.2 v8 fsi BAR engine code Audi A4 B8 2.0T CDN engine code Audi A3 1.4 Tfsi CZC engine code s-tronic Audi A4 B6 3.0 V6 Audi A6 V6 Most of the following parts available: Headlight, tail light, fender, boot, window, mechanism, radio, steering, airbag, dashboard, seat, center console, sunroof, wheel, Tyre, tire, door, door panel, headliner, windscreen, aircon pump, engine, gearbox, crank, oil pump, block, piston, conrod, water pump, mirror, body, key set, lock set, cluster, Aircon control, computer box, harness, wire, rubber, lock nut, turbo, injector, suspension, spring, brake disc, brake caliper, brake pad, control arm, bush, bearing and many more parts available. Mercedes-benz A180 CDI w169 now striping for spares 640 engine code We currently have most original genuine spares for the following vehicles: Mercedes Benz W203 W204 C209 W169 w211 c-class, e-class, clk-class, A class , C32 Amg , engine codes 271, 272 v6, 274 , 112 v6,112 v6 supercharge,113 V8 , 612 VW Golf 5 gti, polo 6, polo 2, round light, Jetta 6, Jetta 4, Golf 5 2.0 fsi non turbo , Vw touran 1.9 Tdi ,Passat 2.0Tdi Dsg Vw toureg v10 Tdi BAC engine Audi A4 B7 engine codes bwa , bwe, bgb Audi A5 2.0 engine CDN Audi A3 1.9tdi BXE engine Audi A3 2.0 non turbo Audi A4 b8 1.8t CDH engine Audi Q7 4.2 v8 fsi BAR engine code Audi A4 B8 2.0T CDN engine code Audi A3 1.4 Tfsi CZC engine code s-tronic Audi A4 B6 3.0 V6 Most of the following parts available: Headlight, tail light, fender, boot, window, mechanism, radio, steering, airbag, dashboard, seat, center console, sunroof, wheel, Tyre, tire, door, door panel, headliner, windscreen, aircon pump, engine, gearbox, crank, oil pump, block, piston, conrod, water pump, mirror, body, key set, lock set, cluster, Aircon control, computer box, harness, wire, rubber, lock nut, turbo, injector, suspension, spring, brake disc, brake caliper, brake pad, control arm, bush, bearing and many more parts available. Beno's BM Scrapyard, Well Known in this industry as we have been providing stripped parts, which are Original, Genuine, and in very Good Condition. and veery Satisfied Customers so far.